Set of styles and additions action (paper texture, perspective mock ups and vintage letters) for Photoshop users. 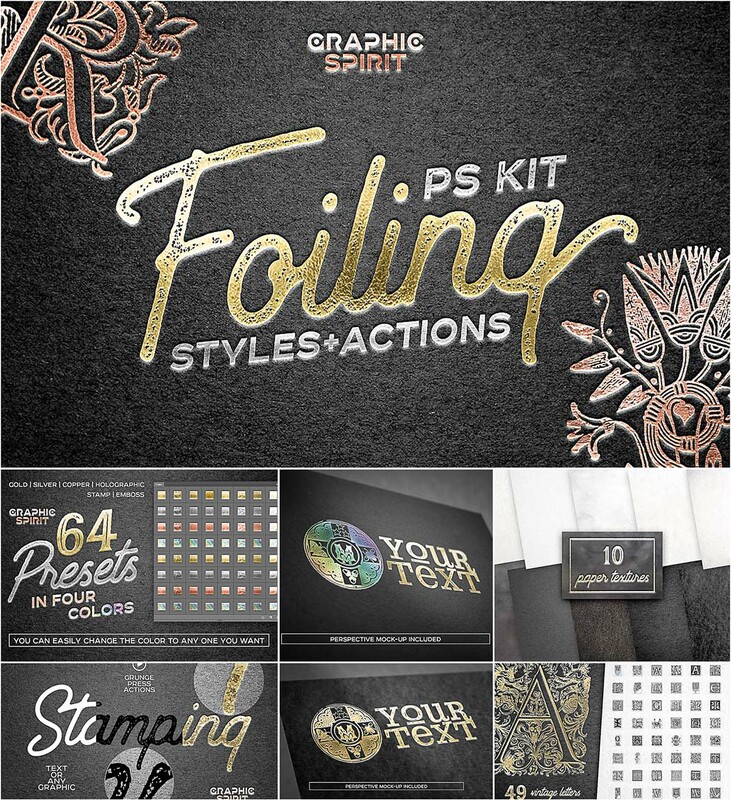 In a few clicks you can create a realistic design stamping or embossing foils of different colors (gold, silver, copper, a hologram, as well as custom colors). Free for download. File format: .asl, .atn, .jpg, .png for Photoshop or other software. 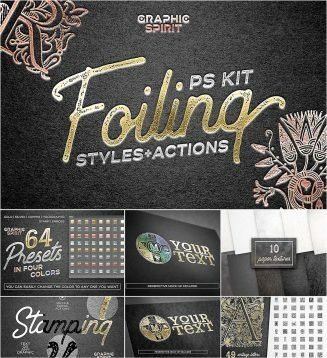 Tags: action, black paper, cooper, engraving, foil, gold, letter, paper, paper texture, photoshop actions, silver, stamping, style, texture.